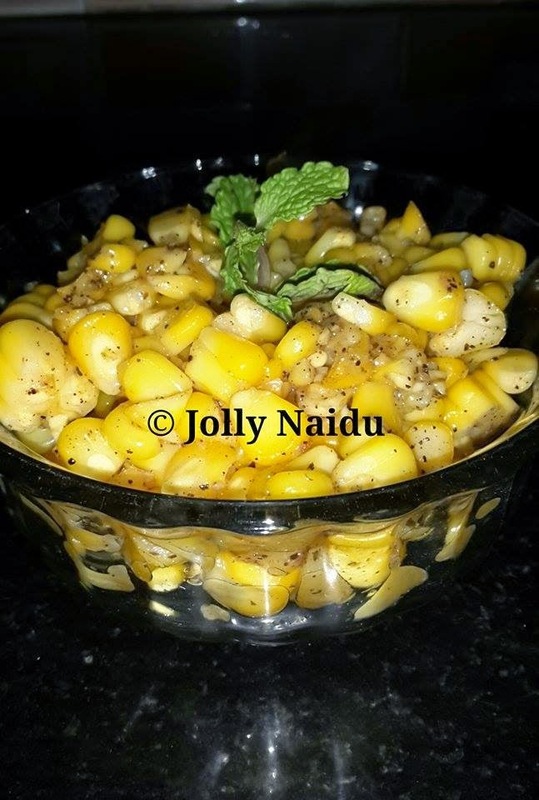 I usually make roasted corn recipe quite frequently in Monsoons. 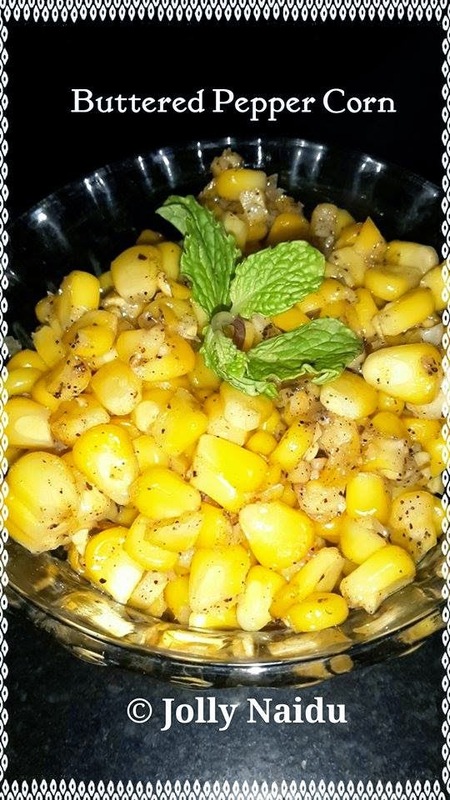 But now this time I make "Buttered Pepper Corn" recipe, this is my husband favorite snack, he usually eat when we go outside, so I decided to make at home and give him(my husband) a surprise :) It is quick as well as easy recipe. 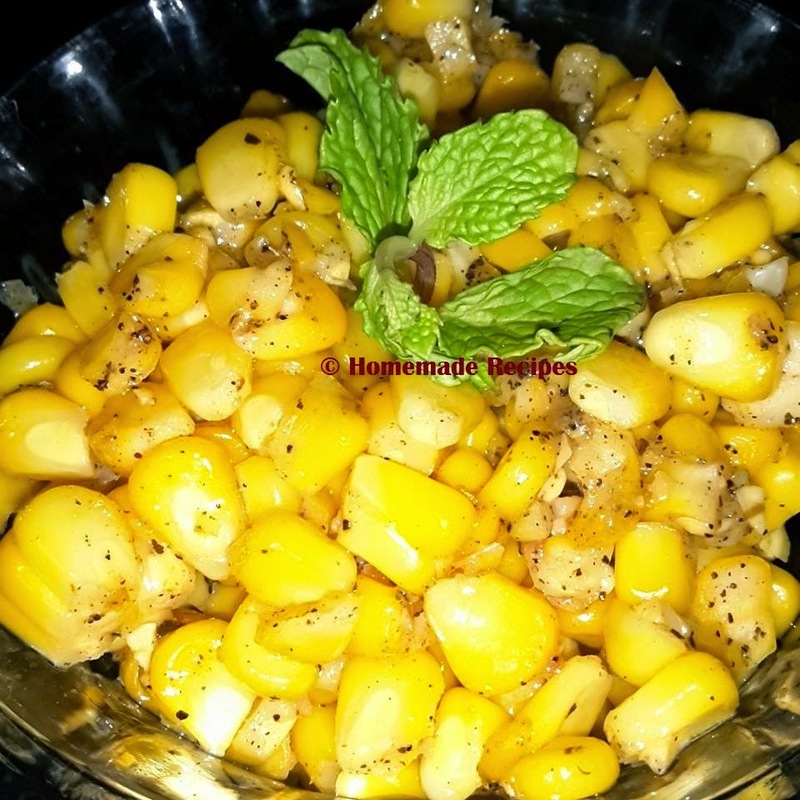 This Buttered Corn Recipe uses butter, those who are conscious about health they can use olive oil. You could use both salted or unsalted butter. I have used more butter, but you could use less amount or more. 1. To boil fresh corn on the cob, first remove the skin and silk. Then place the cobs in a kettle with enough unsalted water. Cover the pan and return it to a boil. Cook the corn for 3 to 5 minutes or until tender. Though, this will take long time process. 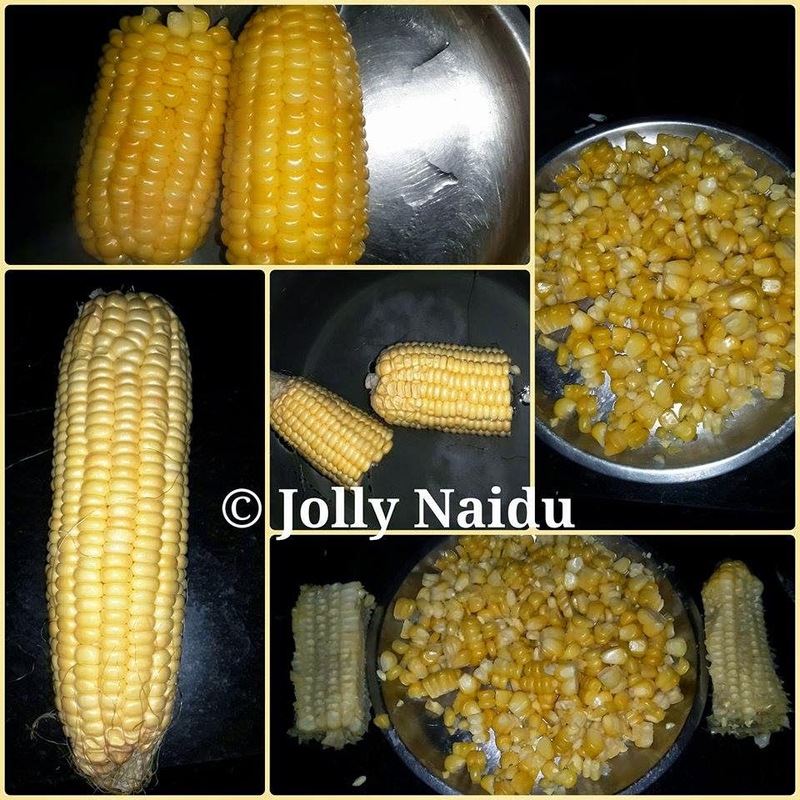 You can cook the corn cobs in pressure cooker with enough water for 3 to 4 whistles but without salt. Drain and keep the corn cobs aside & let them become warm or cool. Remove the corn from the cobs with a help of a knife. 2. In another pan, melt the butter, add the corn cobs, salt, oregano and pepper. Mix well. I did not add cheese, but you could add grated cheese to the above mixture and keep on the heat, till the cheese melts. 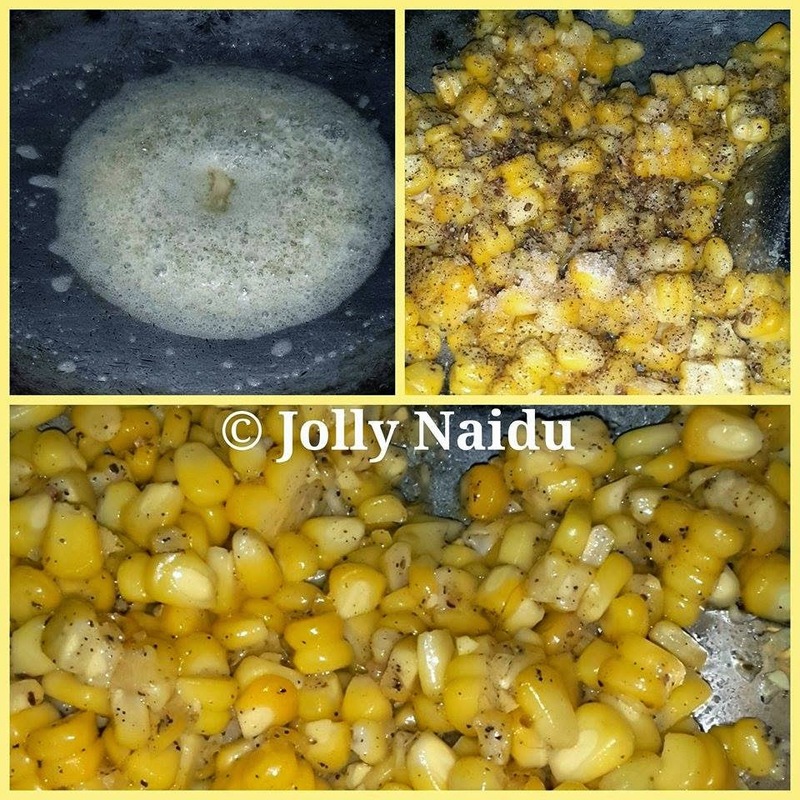 Remove and serve buttered corn hot. Garnish with mint leaves.